During WWI, the US Army sent only one infantry regiment with some support units to the Italian front. The idea was to trick the enemy into believing the Americans were arriving in force. The 332nd did a lot of marching from one location to another in an effort to convince the enemy that they were more than a regiment. Elements of this regiment became the only US ground combat forces to participate in the battle of Vittorio-Venito, the culminating battle against the Austrians on the Italian front. 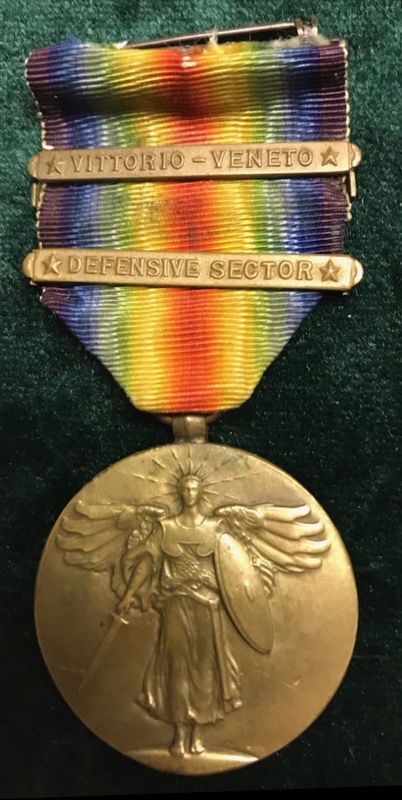 An estimated 1,200 of this clasp pair medal were awarded.